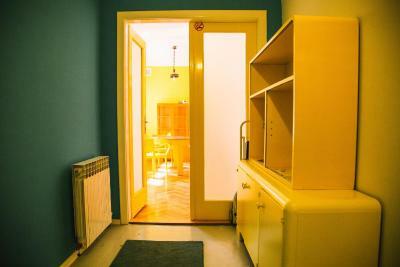 Lock in a great price for Hostel Balkan Han – rated 9.3 by recent guests! 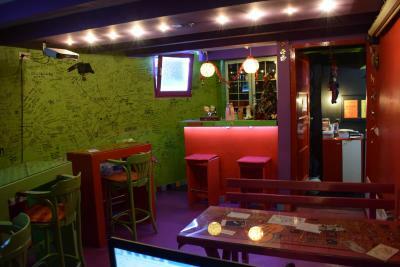 The hostel was good, cool location close to the main sightseeing places. 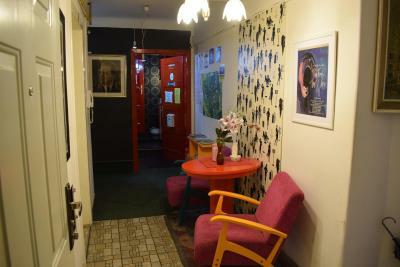 Friendly staff, comfortable rooms (they have double beds, never seen this in a hostel!). Didn't stay there for a while so I wasn't socializing a lot but there were many people hanging out in the common area. I would recommend the place! 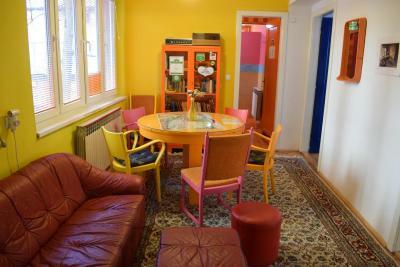 This is a great hostel located in a pretty central location. 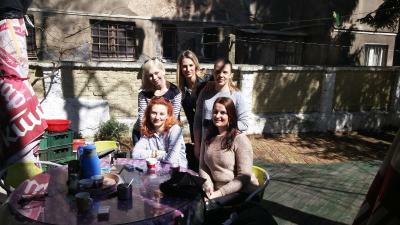 The workers here are amazing people who will make sure you have a good time kn Sarajevo. 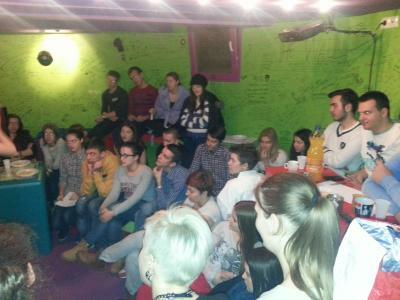 Sometimes pub crawls are organized, but the bar inside the hostel is another great place to hang out. The outdoor common area is also a great spot. The beds are very comfortable. The staff is amazing! 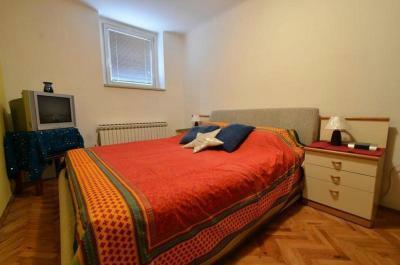 You're pretty close to everything - maybe a 5 minute walk from the old town! 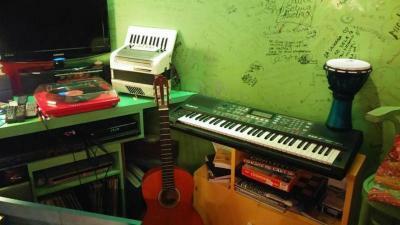 I felt very comfortable, as well as the staff was more than helpful! 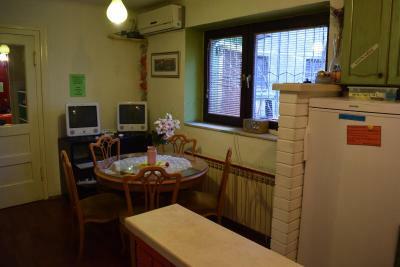 Great location , just 3 mnts walk from the main downtown street. 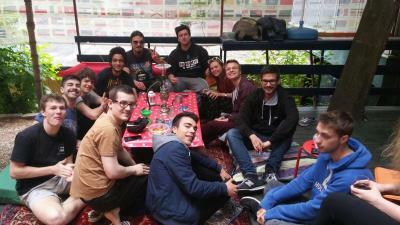 It was very friendly, social for solo travelers. The war tour with Al was awesome! The hostel all went out together at night, good for those of us who didn't know where to go. 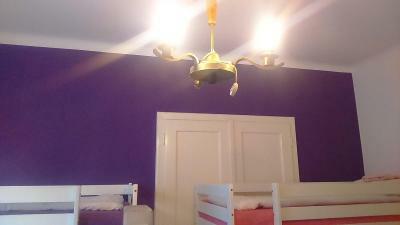 ı've stayed here for 4 night. 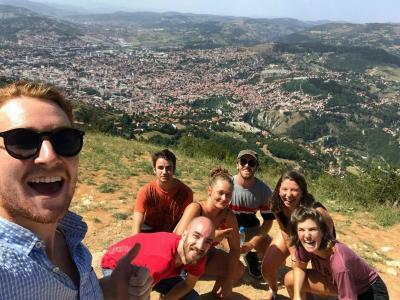 I don't know any words for explaining how good it was :) Unkas (Hostel owner), Victoria and especially Ivan who is working there also was amazing guy :) He was the best guy i have ever met while traveling :) he took us to Mostar, Kravice Falls and Blagaj it was far better than which i had expected. I can definitely recommend all you guys come and stay here and meet Unkas :) and Ivan!!!! 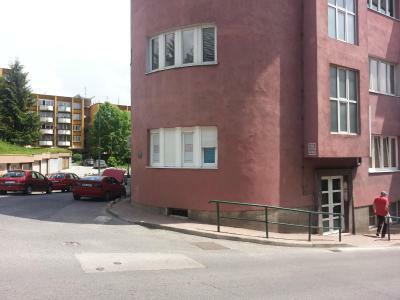 Close to city center. Good personal. Good wi-fi. 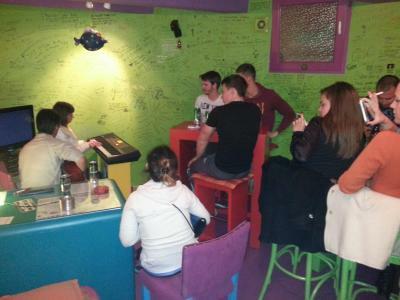 A chip bar: 1 euro for rakija or beer. 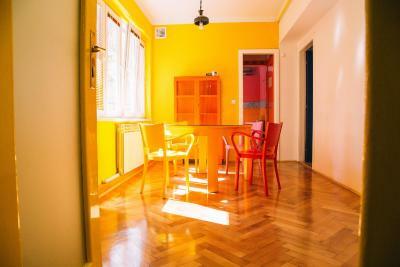 Hostel Balkan Han is located in Sarajevo, a 15-minute walk from Bascarsija Street, and has free bikes, barbecue facilities and a garden. 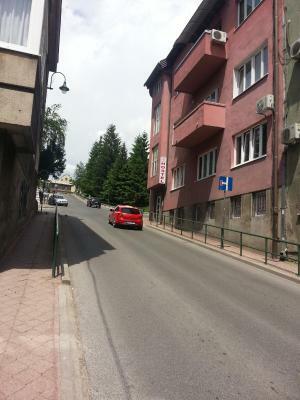 0.8 miles from Sebilj Fountain, the property is also 1.7 miles away from Latin bridge. 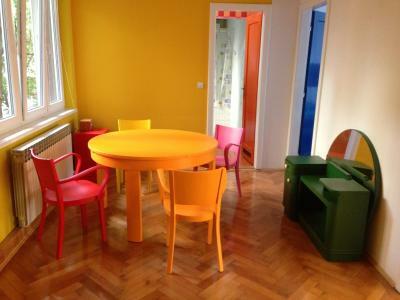 The property is 6 miles from Sarajevo War Tunnel. Free WiFi is available to all guests, while selected rooms come with a patio. 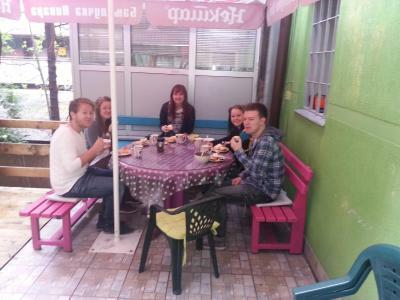 The hostel has a terrace. 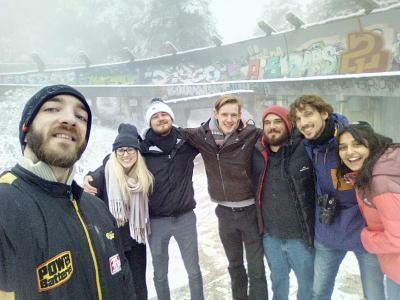 Guests at Hostel Balkan Han will be able to enjoy activities in and around Sarajevo, like skiing. Speaking German, English and Croatian, staff will be happy to provide guests with practical advice on the area at the 24-hour front desk. Eternal Flame in Sarajevo is an 8-minute walk from the accommodation. 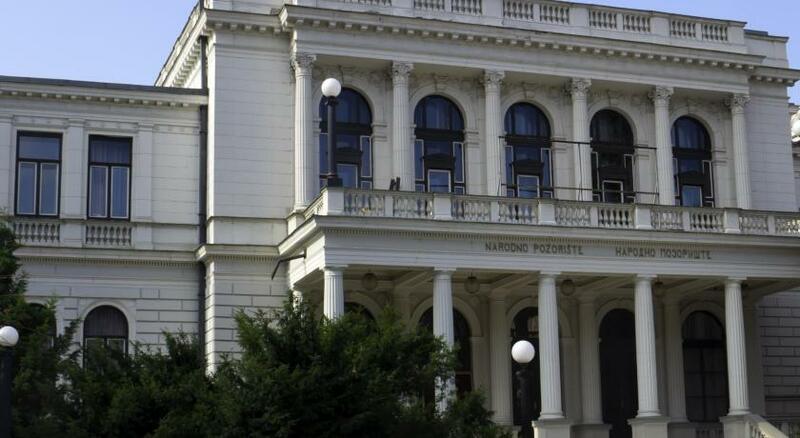 The nearest airport is Sarajevo Airport, 8 miles from Hostel Balkan Han. 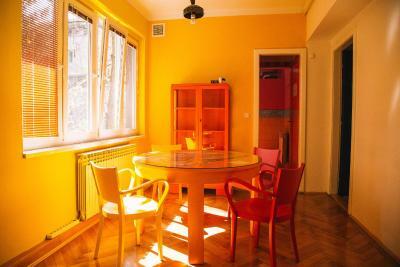 뀐 Located in the top-rated area in Sarajevo, this property has an excellent location score of 9.5! 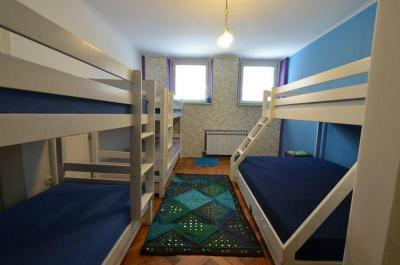 When would you like to stay at Hostel Balkan Han? 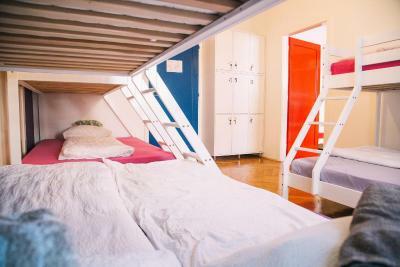 Colorful and cheerfully furnished room fitted with bunk beds, individual lockers and a small seating area. Guests have access to a shared bathroom. 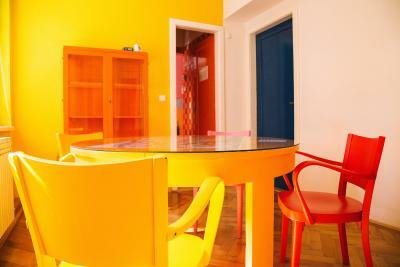 Bright and colorful apartment offering a small kitchenette, a seating area and a private bathroom with a shower. 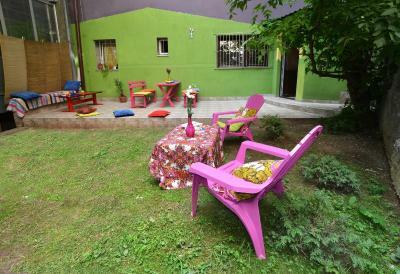 Hostel BALKAN HAN is an amazing place in the center of Sarajevo where travelers will meet multicultural BALKANS in new-age edition, feel the great Bosnian hospitality, enjoy our green garden, colorful rooms, party in our stylish bar, experiencing the word 'HAN' (dating from the Ottoman era) meaning 'lodging for travelers and their caravans'. 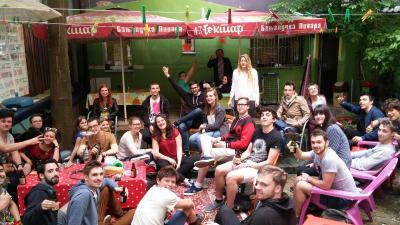 So, grab a place in our HAN and enjoy the BALKANS! 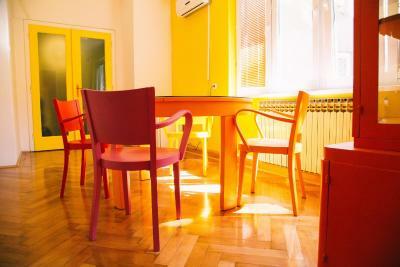 Balkan Han Hostel is situated in the heart of the city, less than 2 minutes by foot from the city promenade (pedestrian Ferhadija street) and all the attractions city has to offer. 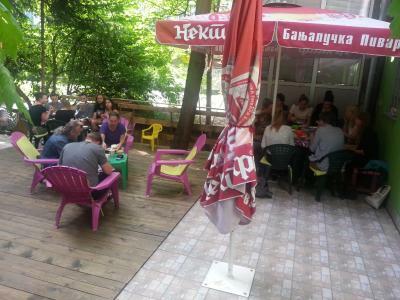 Although our hostel is located next to the main street (Titova), our green garden is like an oasis of peace in the center of the city! 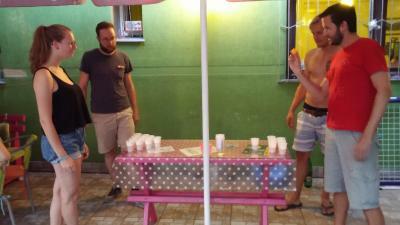 House Rules Hostel Balkan Han takes special requests – add in the next step! 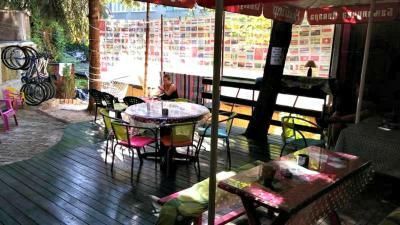 Hostel Balkan Han accepts these cards and reserves the right to temporarily hold an amount prior to arrival. Please inform Hostel Balkan Han of your expected arrival time in advance. You can use the Special Requests box when booking, or contact the property directly using the contact details in your confirmation. No regular oven or countertop oven in the kitchen. The push button showers upstairs make it difficult to shower. 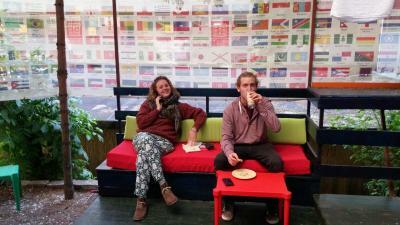 The owner was an excellent host and the hostel in a great location. 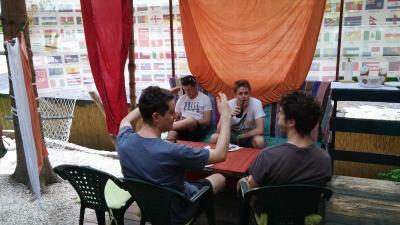 The socializing in this hostel is top notch and a great atmosphere. Good security and the owner was always offering free drinks. I don't drink but it was a welcoming gesture for others. The location is quite perfect, rooms are spaceous and the terrace is beautiful, my favourite place to hang out and talk to people. 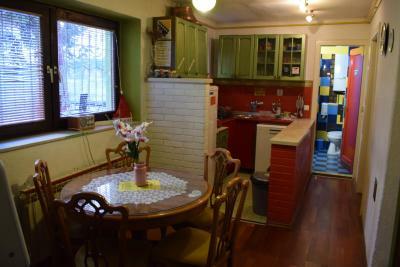 Kitchen is a bit tiny but at least it's fully equipped so that's really not a problem. 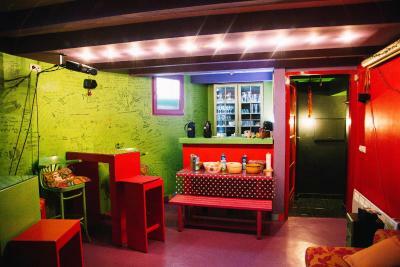 It's not a party hostel, which I like, but there will be people to join with if you feel like going out. Ivan in the reception (and also as a bartender) is so great guy and he will have an answer to every question you have. The bathrooms were really small but other than that everything was great! The staff was great, they received me with a welcoming shot, gave me tips, etc. 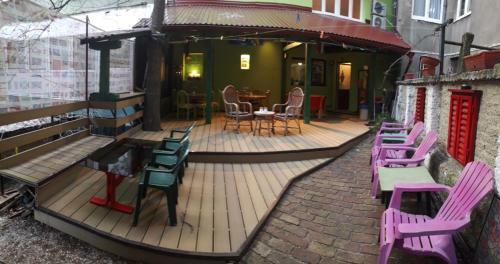 The hostel had a nice outside area and the rooms were great! 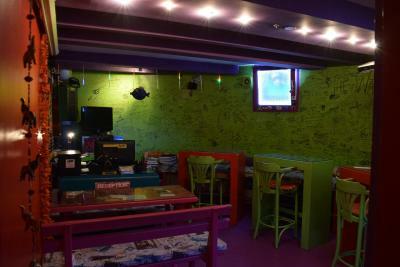 Great common areas, a fantastic place to meet people as a solo traveler! Lovely garden. Great location in a walking distance from everything. Clean room, lockers for everyone, comfortable bed. 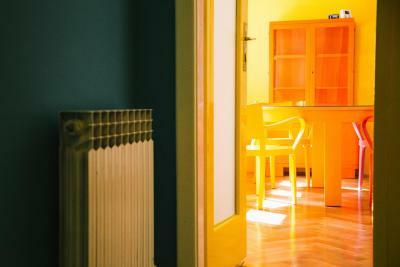 I was unfortunate enough to fall sick during my stay here, and the staff went out of their way to make me feel comfortable. Fantastic people! 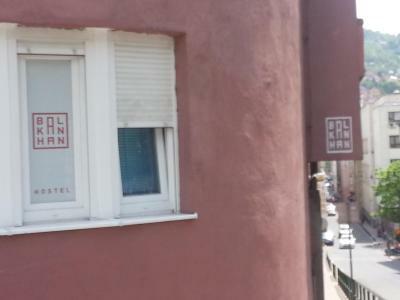 Would definitely recommend staying here! Everything was exactly as we expected. We had a large group of people coming in at different times of the day, and the staff was kind enough to let them come in whenever they were able to. The bathroom and shower area can get sort of flooded after a few people use the facilities. Additionally, the toilets had a habit of not working. 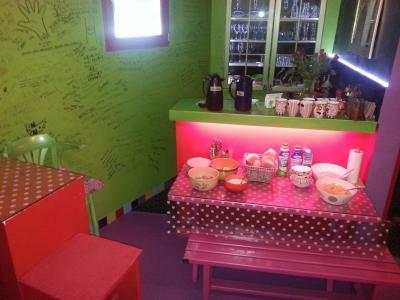 Great hostel. 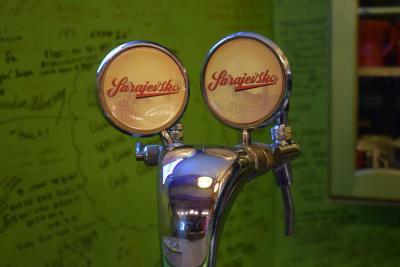 The best in all my travels in the Balkans.